Fuerza Solidaria » Archivo » Book: The Foro de São Paulo. 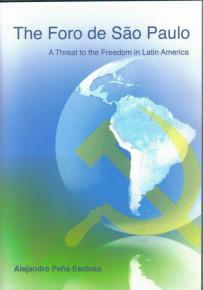 A Threat to Freedom in Latin America. English version of El Foro de São Paulo contra Álvaro Uribe. The demolition of the Berlin Wall and the implosion of the Soviet Empire in 1990, in addition to the adoption of private enterprise in China, led to the belief that the long nightmare of the Marxist social engineering experiment was over. The world was moving towards globalization- depicted by the phrase “global village”. The once powerful communist parties of Western Europe were shamed into changing their names and doctrine. In Latin America, the only Marxist country was Cuba, suffering under the iron fist of a senile dictator. Cuba had just lost the Soviet subsidies that allowed it to pay for its oil and food. The predictions of Francis Fukuyama, in the sense that ideology would no longer subsist, rang true. Liberal economics would be the rule the world over. Many in Colombia, myself included, thought the communist guerrillas –FARC and ELN- would quickly sue for peace. At the time, there was little inkling that they would prosper and grow by becoming masters of the “up-stream” end of the drug trade. No one heeded to a desperate initiative set in motion by Fidel Castro, who urgently needed to break out of his isolation. Castro turned to the leader of the most powerful leftist party in the Americas: Luiz Inácio Lula da Silva of the Worker’s Party of Brazil (PT). Lula had nearly won the presidency a year before. Together, they arranged the largest meeting of leftist parties and terrorists ever held on the Continent. The event was hosted by Lula in Sao Paulo, his power base. Elsewhere on the Continent, communism was in a profound crisis. The Sandinistas would lose power in 1990, in an election forced upon them, and the communist insurgency in El Salvador was on the wane. It was in those difficult times, having lost the support and guidance of Moscow, that the Sao Paulo Forum (FSP) was born. It would become a broad and effective alliance of communist parties and guerrilla movements that would soon make spectacular progress towards recovering lost ground and advancing the Marxist cause throughout the Continent. It included communist parties and others with different names but similar ideologies, as well as terrorist movements. This was quite in line with the Marxist doctrine on the combination of all forms of struggle. Along with the Colombian Communist Party, the FSP included the Fuerzas Armadas Revolucionarias de Colombia (FARC) and the Ejército de Liberación Nacional (ELN), the Peruvian Communist Party, the MRTA guerrillas and similar combinations in other countries. Few politicians or democratic leaders on the Continent took notice of the newborn threat. They thought it was just another rabble of loud Marxists, nostalgic for the collapsed Soviet Empire, a group organization that would be convened every so often to denounce cruel and heartless capitalism and the imperialistic United States. After all, it now seemed that communism was effectively dead, a painful aberration of history, and – like Nazism before it – would soon become politically irrelevant. What a serious mistake! There were, of course, long speeches and Marxist rhetoric, but the FSP would be much more than the usual talking meeting. It is a real continental organization, much more effective than Stalin’s stodgy COMINTERN. In fact, the mutual support among its members has allowed communists, sometimes in alliance with more moderate parties, to rise to power in Argentina, Brazil, Chile, Uruguay, Paraguay, Bolivia, Ecuador and Nicaragua. That same solidarity also allowed Marxism to survive in Cuba, after a half century of economic failure. The FSP candidates lost presidential elections by slim margins in Mexico and Peru. Luck played its part in that success. Hugo Chavez, after a failed coup in 1992, was pardoned and released from prison by President Caldera. He was elected president of Venezuela in 1998. His party, Movimiento V República (MVP), had joined the FSP in 1995. Oil prices, long stagnant, would soon start their climb to record highs. Chavez used his oil revenues to fund candidates of his choice and to buy the votes of small Caribbean island states. The FSP’s next target is El Salvador, where the party of the former FMLN guerrillas, generously funded by the clownish Venezuelan president, has a good chance of winning the presidency. The FSP has developed strategies and techniques to gain power through democratic elections. Several campaigns and political parties have been funded through PDVSA, the Venezuelan state-owned oil company, and the FARC have contributed to others. Once power is secured, there are strategies to hold on to it. One is, of course, and not surprisingly, to develop popular hatred of the “Empire” (the US), as well as class confrontation. But, beyond that, most regimes have fueled ethnic mistrust. The governments try to give the impression that they are following democratic procedures, but electoral fraud is used blatantly, and all power is concentrated eventually in the executive branch. A new constitution is drafted – one that concentrates power in the executive branch and allows repeated reelection. The armed forces that fought armed subversion are reduced through “judicial warfare,” which includes disowning laws on amnesty for the military but, of course, not for terrorists. Violent militias or pressure groups, outside formal government control, are organized to intimidate the opposition –along the line of Hitler’s infamous “brown shirts”. 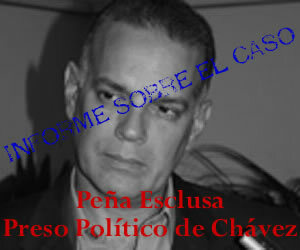 One of the few who has called attention to the FSP and its importance is Alejandro Peña-Esclusa. He has traveled to a number of countries to warn anyone who would listen about the threat to freedom and democracy on the Continent posed by the FSP. Few listened, and fewer still did anything to counteract the threat. For the press, all of this was not newsworthy. Government leaders usually do not see threats beyond their borders. Business leaders do not look much beyond their next accounting period, and many think they can somehow deal with any government that comes to power. In the Colombian case, it has long been known that Chávez and Correa supported the FARC guerrilla in various ways, including safe havens and easy access to weapons and supplies. Glaring proof of this was found in the computer files of Raúl Reyes, the FARC’s second in command, killed in Ecuador by an air strike on his camp in Ecuadoran territory. The strike was carried out by the Colombian Air Force. The Colombian government has leaked a minimal part of the contents of those files, but has decided to keep most of the evidence secret, in the hope of maintaining good relations with its neighbors and trading partners. One example is the evidence concerning Brazilian government officials who had extensive relations with the FARC. The FSP is a threat to all democracies and the Reyes files should be open to all, especially to those who now suffer under FSP dictatorships and those who are endangered by the FSP conspiracy.